This project is helping me to Fund recording my Debut Album. My vocal style is a mixture of folk, blues and soul. I will be working with a brilliant producer and band to help to fully convey the songs written for this album. I love to push the boundaries within genres and create a style that no one has ever heard before. 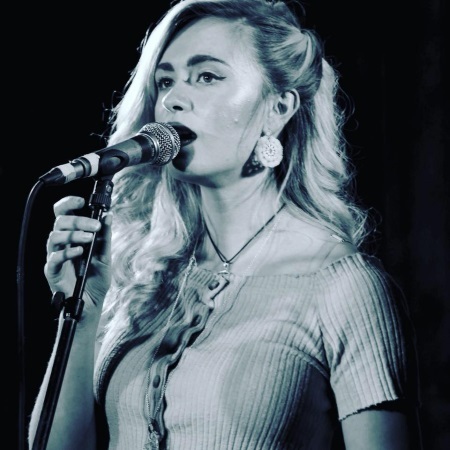 As a songwriter my main goal is to connect with others through my songs through telling stories about my experiences and experiences of those close to me. (...) In March I released my Debut EP ‘Glitter Skies’. It was a beautiful experience recording it with Christian Best in Monique Studios, we ensured that the standard of the recording was at the highest it could be, I was delighted with the result.It’s been non stop ever since and I’ve been loving every second. I’ve toured extensively around Ireland with my band and it was a truly magical feeling performing the songs to people who genuinely wanted to listen. It really blew my mind. I’d love to continue this journey, this dream, as it’s all I’ve ever wanted to do. The only challenge I may face in completing this album is the fact that I’m a bit of a perfectionist. These songs are very close to my heart so it’s very important to me that they are all captured as true to the song as possible.